The Mining Department of Osmania University Engineering College was shifted to Kothagudem in 1978 and was later named “Kothagudem School of Mines.” In 1994, the college was transferred to the Kakatiya University and named University College of Engineering. To convert this single department college to a full fledged one, two more engineering branches viz., Computer Science Engineering, Electrical and Electronics Engineering were introduced in 1996. The allied engineering sections viz., Mechanical Engineering, Electrical Engineering, Civil Engineering and the science sections like Physics, Chemistry, Mathematics are meant to cater to the needs of these courses. In the year 2001-2002, two more PG courses, i.e. MBA and MCA were also started on self finance basis. 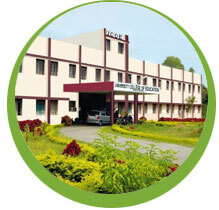 Besides well equipped laboratories for the engineering courses. The College has two hostels for boys and one for girls and a library.